It is an unnecessary parts. So I deleted it. Total 219 files are right. Amazing piece of work, it's like a childhood dream come true. AWESOME ! Thank you for your hard work: it's been 25 years of waiting for lots of fans :D I have a question, though: Is it possible to scale it down from your 1/6 to 1/8 or 1/9 or even 1/12 ? Thanks in advance for your kind reply ! You can adjust in Slicing software (ex. cura) or meshmixer. But You must also consider the size of the purchase parts(ex. bolts, nuts, Plamodels option parts..). So I recommend 1/6. Thank you. Yes, I understand. :) Thank you so much ! Hey few questions... Would a 3D print in metal of this work or be way too heavy even if the armour was done in vinyl Are there paint colour guides in there? 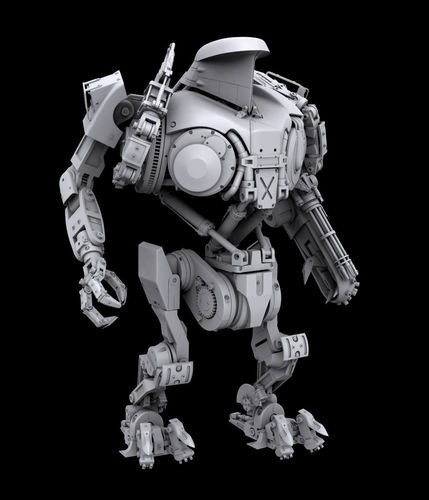 Are you considering doing an ED209? Would a 3D print in metal of this work or be way too heavy even if the armour was done in vinyl? ---I didn't think about it. but You will have to strengthen the waist of Cain. Are there paint colour guides in there? ---Not included.I just used Mr hobby SM08, GX201,SEMIGLOSS ALM04YELLOW. 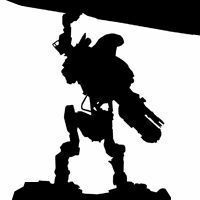 Are you considering doing an ED209? ---I am not considering it. Because it is Hottoys ed209. Awesome! The thinking that went into this with the printing layout in mind is astonishing! A real bargain.